iLife '11, Other Software from Apple. 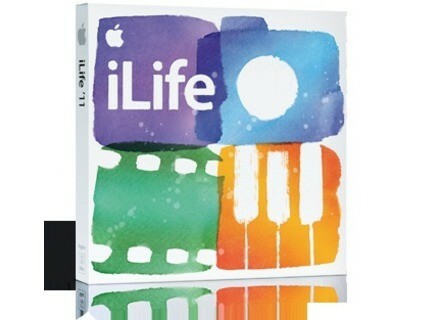 Apple has released iLife '11, a major upgrade that gives Mac users ways to create and share photos, movies and music. iPhoto '11 has a new look, with full screen modes for Faces, Places and Events. iMovie '11 lets you edit videos and transform them into theatrical trailers for easy posting online. GarageBand '11 introduces new ways to improve your playing and create songs with Flex Time and Groove Matching. Free with every new Mac, iLife '11 is available as a $49 upgrade for existing users. GarageBand '11 includes two new ways to fix or change the timing of your recordings. Flex Time lets you move, stretch or shorten individual notes by clicking on the part of the audio waveform you want to change, without affecting the rest of the recording. With Groove Matching, you can select any track as the "Groove Track" and all other tracks will match its rhythmic feel. GarageBand '11 adds seven new guitar amps, five new stompbox effects, and 22 new Basic Lessons for piano and guitar. The new "How did I Play?" feature listens while you play along with any lesson, highlights mistakes and tracks your progress. iLife '11 is available now for a suggested retail price of $49 through the Apple Store, Apple's retail stores and Apple Authorized Resellers. The iLife '11 Family Pack includes five licenses and is available for $79 and the Mac Box Set which includes iLife '11, iWork and Mac OS X v10.6 Snow Leopard is available for $129. 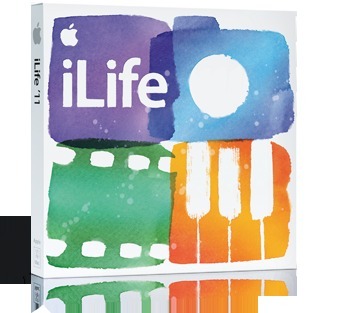 iLife '11 requires Mac OS X version 10.6.3 or later, a Mac computer with an Intel processor, 1GB of RAM, a DVD drive for installation and 5GB of available disk space. iPhoto print products and GarageBand Artist Lessons are sold separately and are available in select countries. Full system requirements and more information on iLife '11 can be found at www.apple.com/ilife.